We’d love your help. Let us know what’s wrong with this preview of The 3m Way to Innovation by Ernest Gundling. Gundling traces the reasons for 3M's astounding success. 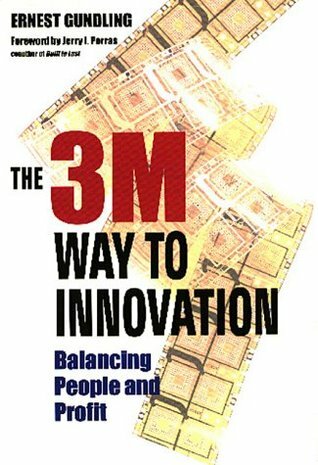 To ask other readers questions about The 3m Way to Innovation, please sign up. Excellent explanation of how 3M encourages innovation on the ground given through examples and first hand accounts. Many sources, including personal interviews, cited throughout the book. The comparison between traditional wisdom in adapting processes to spur innovation and the web of self-supporting systems 3M uses was especially valuable. Skip the diagrams, they are harder to read than the text.